Are you ready for some pink?! Well, it is nearly Valentine’s Day…. Being a parent doesn’t always mean you get to go out for Valentines’ Day, or if you’re working, and can’t get out together. However, it doesn’t mean you can’t have a little Valentine’s celebration together. 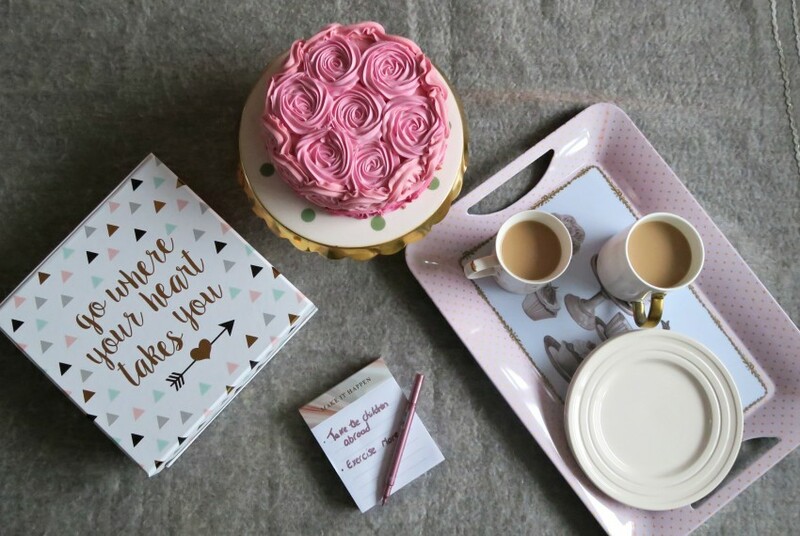 So I had a little think about how we could celebrate Valentine’s Day together, on a weekday afternoon before the kids came home and hubby has to go to work. I took a trip up to HomeSense to have a look at what Valentine’s Day treats they had up there. I wanted to go for a pink and gold colour theme, and not your typical red colour scheme. 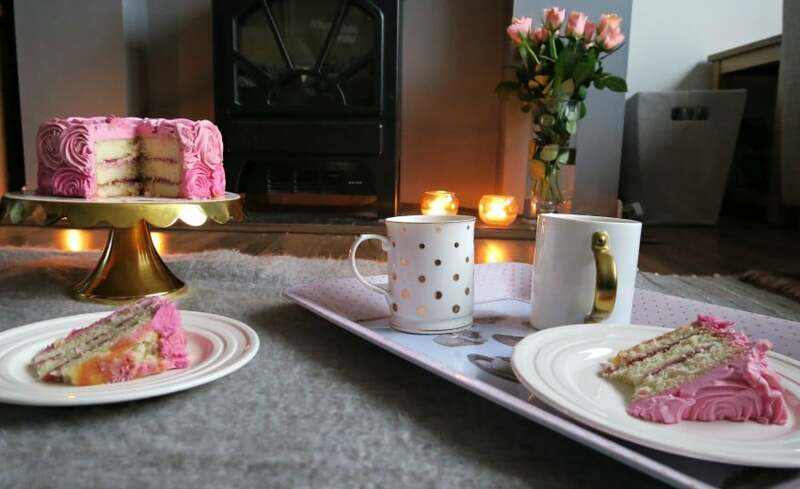 So I laid down a grey woolly throw on the floor, and set up an afternoon tea. We’re not big drinkers so this appealed to us both and great for an afternoon, before the kids come home from school! 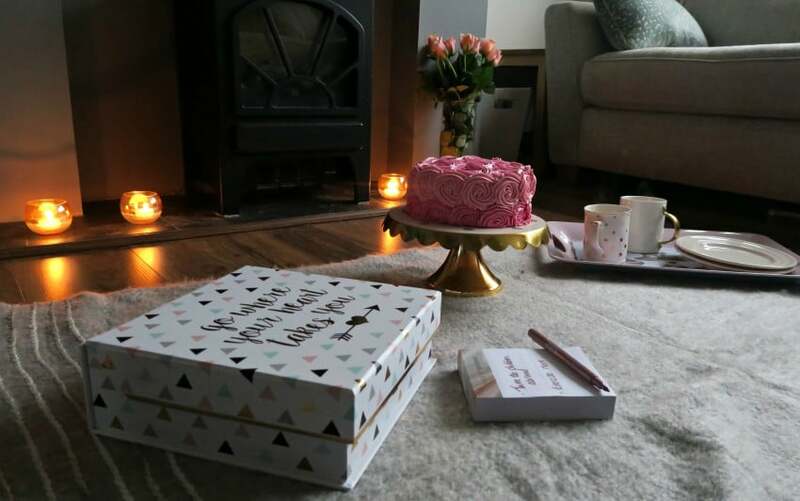 I spotted this little keepsake box and notepad, so we thought we could sit down and write some little things we want to achieve together and pop them in this box. I want to fill it with places we want to visit, things we want to do together and things we want to achieve. Candles always create a lovely mood, and these ones are also smelly so now my lounge is filled with a lovely scent. I love that HomeSense has such a range of different things, I could pick out a dainty mug for me, and a big chunky mug for Hubby, but still co-coordinating! Are you celebrating Valentine’s Day this year? If so how? 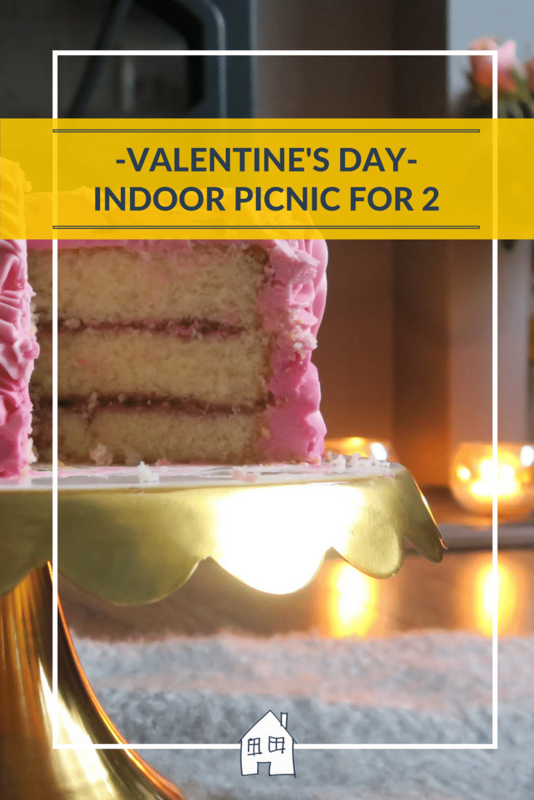 I would love to hear your ideas, and if you’re single, then have an Indoor Picnic with your friend or kids! This is such a lovely idea. I’ll have to remember this for next year. Thank you, great when you have kids as you can stay at home but do something different together. Such a nice idea. I love picnics. And what a fab idea to note down all the things you want to do together. The list kept growing and growing though!! That is such a lovely idea, Steph. 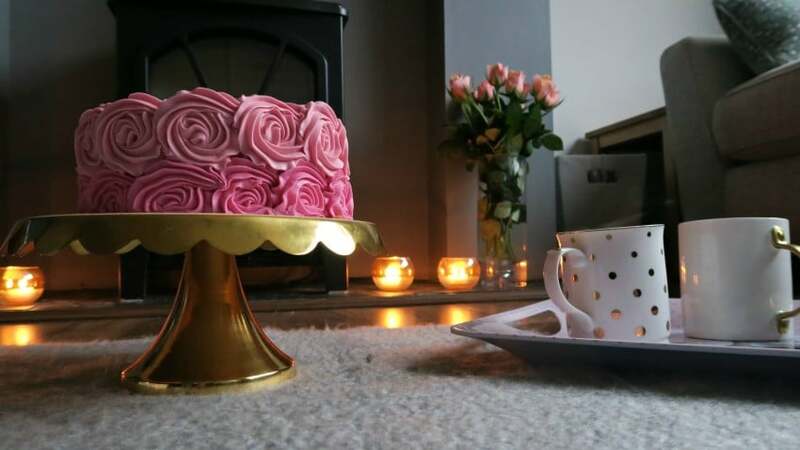 Both my husband and I work from home on Fridays so tea, cake and catchups are a regular feature here. I love doing it … time is so scarce with children that it’s probably the only time we get to properly chat to each other. That’s good you to do that together on a Friday though, so important to get a little time together without any little ones butting in! Oh I WOULD have loved to be able to make that cake……I could do one and compare this picture to mine!!! The kids have been asking for one, this weekend I think! Can’t go wrong with Homesense. I can’t go in without buying something! 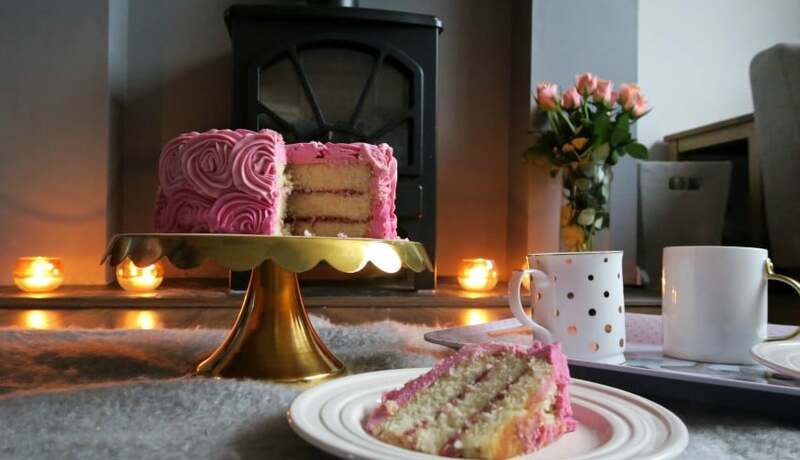 Love love love that cake and cake stand. Brilliant idea to have an indoor picnic too, especially when it’s so hard to find a babysitter to go out for a meal! The cake was very tasty, and I could spend all day shopping in HomeSense!!! We love indoor picnics! There’s something so lovely about them. That cake looks amazing! How pretty is the indoor picnic you’ve created!